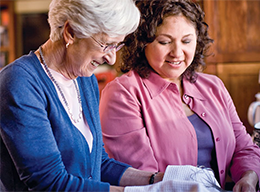 Choose a location to find a caregiver near you, today! Find the right service package or customize your own, you choose. Love to work with awesome people? Check for jobs near you. Caregiving is not easy for anyone. If you don’t live near your aging parent, you may wonder if what you’re doing is enough to oversee your loved one’s care. Even if you live nearby, you may discover the problems you or your loved one are facing are becoming larger and more complex than you can comfortably manage. Or maybe your life’s other responsibilities have grown to the point you are unable to provide the level of supervision and attention to your loved one’s care that you wish.